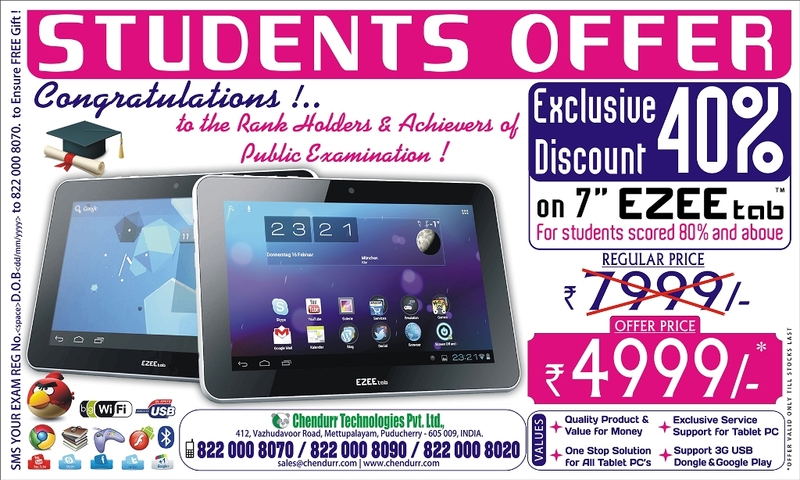 STUDENTS Offer for TABLET PC ! SMS YOUR EXAM REG No.<space>D.O.B<dd/mm/yyyy>to 822 000 8070 to Ensure your FREE Gift ! HURRY - Offer Valid Still Stock Lasts !